Virginia Mason will offer urgent care at its Bainbridge Island Medical Center starting Monday. 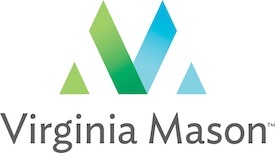 Walk-in medical service for minor illnesses and injuries that need immediate attention will be available seven days a week, according to a notice on Virginia Mason’s website. Hours will be 8 a.m. to 8 p.m. weekends, and 8 a.m. to 6 p.m. weekends. Virginia Mason’s Bainbridge clinic is located at 380 Winslow Way E.
Harrison Medical Center recently opened a 24-hour urgent care off Madison Avenue on Bainbridge Island. The Doctors Clinic offers urgent care Monday through Saturday at its Hildebrand Lane location. I’m really happy to hear about this. It’s close by my home and the hours are great! Thanks for sharing!